In recent months there has been a high profile outbreak of Chikungunya virus in the Caribbean, reports of invasive mosquito vectors in Paris and concerns over Zika virus emergence in the Americas. So perhaps this is a good time to consider the changing risks from mosquito-borne diseases. Although the UK does not currently have mosquito-borne disease transmission, the risks are changing for both Europe and the UK, as well as for those travelling to areas newly endemic for these emerging mosquito-borne diseases – and are likely to change further in the future because of climate change. Invasive mosquitoes have become widely established across Europe, with subsequent transmission and outbreaks of dengue and chikungunya virus. 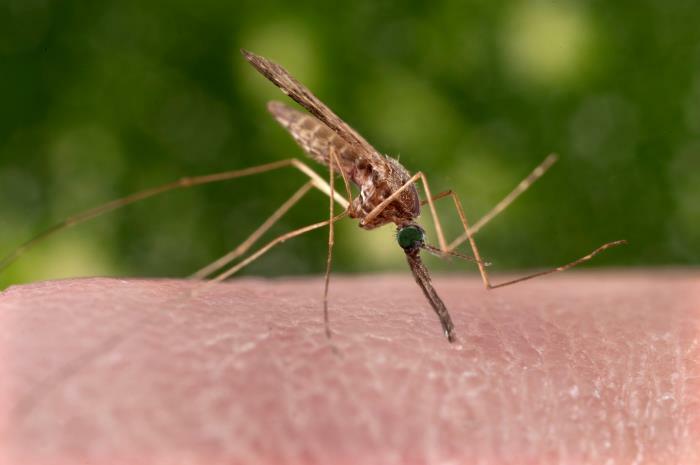 Malaria has re-emerged in Greece and West Nile virus has emerged throughout eastern Europe. Tick-borne diseases, such as Lyme disease, continue to increase, or, in the case of tick-borne encephalitis and Crimean-Congo haemorrhagic fever viruses, have changed their geographic distribution. From a veterinary perspective, the emergence of Bluetongue and Schmallenberg viruses show that northern Europe is equally susceptible to transmission of vector-borne diseases. We detailed this in a paper in the Lancet last March. These changes are in part due to increased globalisation, with intercontinental air travel and global shipping transport creating new opportunities for invasive mosquitoes and pathogens, as well as an increase in human travel, allowing further spread of pathogens. However we also know that changes in mosquito distributions are being driven by climatic changes and changes in land use, infrastructure, and the environment, as well as adaptations of the pathogens and the mosquitoes. So what does all this mean for UK public health? Species such as the Asian tiger mosquito have been reported in more than 20 European countries, having found a way into Europe initially on importations of used tyres or wet footed plants. Having established in many Mediterranean countries, they have travelled along highway systems in vehicles, enabling them to expand their distribution. In 2015 this mosquito was confirmed in Paris and Strasbourg and concerns have been raised that they may spread to the UK through movement of traffic from France. PHE is conducting a range of surveillance activities for these mosquitoes at sea and airports, at used tyre importers, and also along motorway service stations close to the ferry ports. The main concern with these mosquitoes is that they have been proven to transmit tropical viruses in Europe. Since an outbreak of 200 cases of chikungunya in Italy in 2007 there have been a number of local human cases of chikungunya in Europe. Infected travellers have returned to Europe and passed on the pathogens to these invasive mosquitoes, which in turn infect humans who haven’t travelled. The spread of chikungunya to the Americas and the Caribbean increases the opportunity for acquiring the infection when we travel and consulting travel advice and taking precautions against mosquito bites should be a priority for all travellers. As the mosquito becomes more established and abundant and we travel more to areas with mosquito-borne disease the potential for transmission increases. By detecting and minimising the opportunity for this mosquito to establish in the UK, we increase our chances of preventing any local transmission of these viruses. We are expecting to experience milder winters, warmer summers and more extreme weather. This can impact on both vectors and their pathogens. Like all insects, all mosquitoes are able to complete their life cycle and digest their blood meal at a much faster rate at higher temperatures, and if our climate warms this means that both our native mosquitoes could become more abundant and non-native species could establish. Milder winters and warmer temperatures can increase the survival of tropical mosquitoes, and can also favour the development of the pathogen in a mosquito. However, climate does not act alone. The movement of mosquitoes is helped by globalisation and the movement of goods or traffic harbouring mosquito eggs or adults. The movement of the virus is facilitated by the global travel of infected humans. Combine these factors with a warmer climate and they provide an increasingly suitable environment for disease transmission. So how do we prepare for and minimise the risk? Ensuring that we understand what these risks might be and conducting field research on the impact of environmental change, as well as climate change, is now a priority for UK public health and PHE. Coupled with a strong surveillance network for native and invasive mosquitoes PHE is working towards assessing and managing the risks posed by mosquito-borne diseases in a changing ‘climate’. Although our mosquito surveillance programme does what it can to gather intelligence on mosquitoes in the UK it can only do so much. We rely on people up and down the country contacting us if they have issues with mosquitoes, to ensure that we can detect both native and non-native problem species. This passive surveillance will help PHE to continue effectively tracking populations, their movements and intervening where we can to minimise their spread. You can send mosquito samples in for identification via the mosquito recording scheme page or submit a photo to mosquito@phe.gov.uk to help us identify the problem species, or detect any of these invasive species.